Discarded cigarette butts are being turned into something useful in New Orleans, and Sydney may soon join the large-scale recycling effort which was originally launched in Canada in 2013. According to The Telegram, New Jersey-based recycling company TerraCycle Inc. developed the program in 2012. The first citywide receptacles were placed in Vancouver, British Columbia in November 2013. 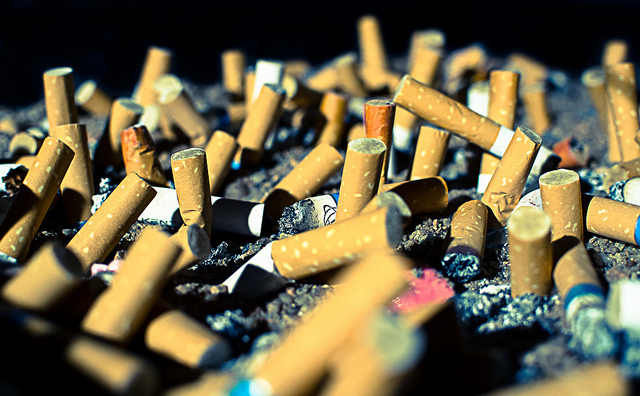 “Globally we have collected 25 million butts since November of 2012,” said company spokesman Albe Zakes, adding that the company is in talks with officials in Sydney, Tokyo, Toronto, and Phoenix and Atlantic City, New Jersey. The program will act as an extension of TerraCycle’s Cigarette Waste Brigade — a nationwide, mail-in recycling program that is sponsored by Santa Fe Natural Tobacco Company, which will cover all costs related to the program, including installation, emptying receptacles, maintenance and collection. Officials with the New Orleans Downtown Development District (DDD) said joining the program was a no-brainer. Smokers flock to curbside trash bins and public benches for nicotine fixes, and smoking is still allowed in bars that do not serve food. The downtown area is just blocks from the French Quarter and is home to the huge Harrah’s Casino. According to TerraCycle, New Orleans will be paid US$4 (A$4.33) for each pound (454 grams) of cigarette waste collected. “One of the things that make us proud of this program is that it really hits on so many cylinders of what the DDD is about,” said DDD President & CEO Kurt Weigle. Cigarette butts collected through the nationwide program and now in New Orleans are recycled into a variety of industrial products, such as plastic pallets. Any remaining tobacco will be repurposed via tobacco-specific composting methods.